The Daily Quirk had the opportunity to talk to Wilmott to hear what he had to say to his fans, what can we expect to happen to some of our favorite characters next season and whether or not we’ll finally see beyond the walls of Vega. 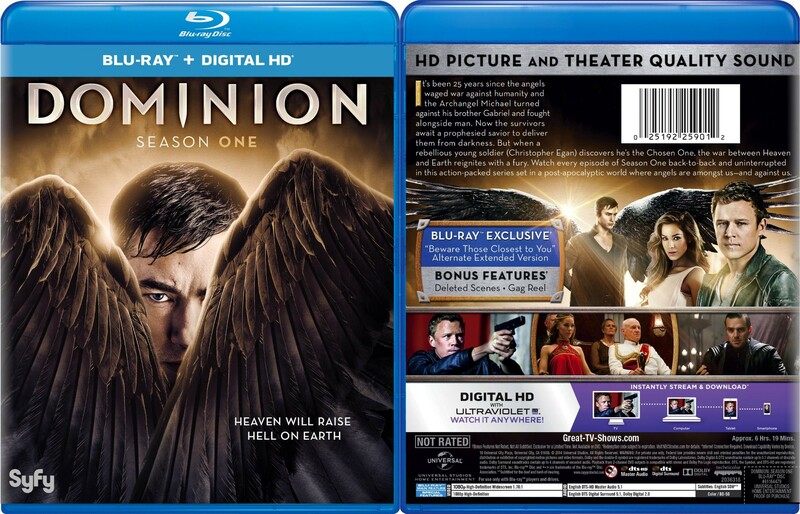 The full cover art for the Dominion season 1 DVD and Blu-ray covers has now been revealed. Looks great, doesn’t it? 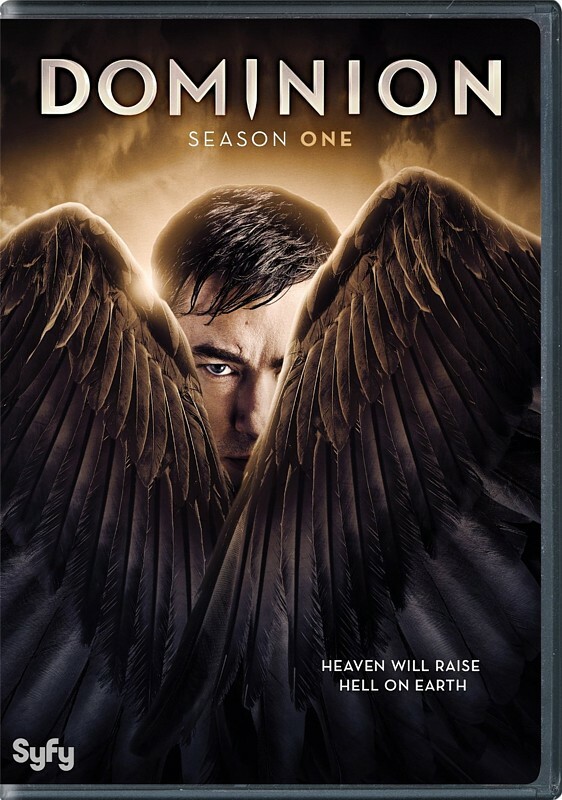 Blu-ray Exclusive Alternate Extended Version of the Season Finale “Beware Those Closest To You” – 20 minutes of additional scenes that didn’t make it on television! Next tweetout with the UK coming up on Thursday for episode 3 “Broken Places”. 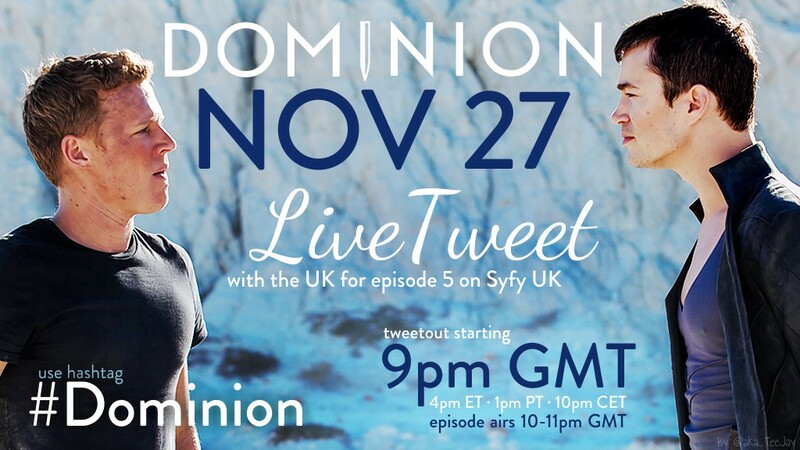 The tweetout starts at 9pm GMT (1pm PT, 4pm ET, 10pm CET), the episode airs on Syfy UK between 10 and 11pm GMT. Create your own angel wings (e.g. paper cut-outs, icing on a cake, etc.) 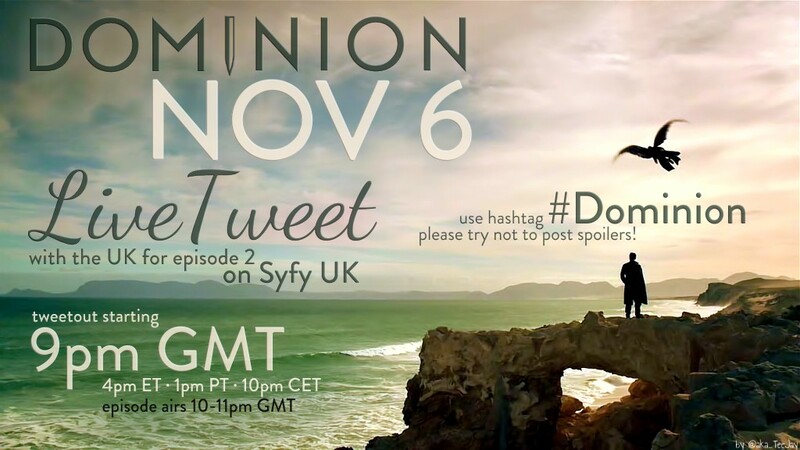 and tweet a photo of them at the beginning of the episode with the hashtag #Dominion. Happy Birthday to Luke Allen-Gale! Today marks the birthday of Luke Allen-Gale, the actor portraying William Whele. 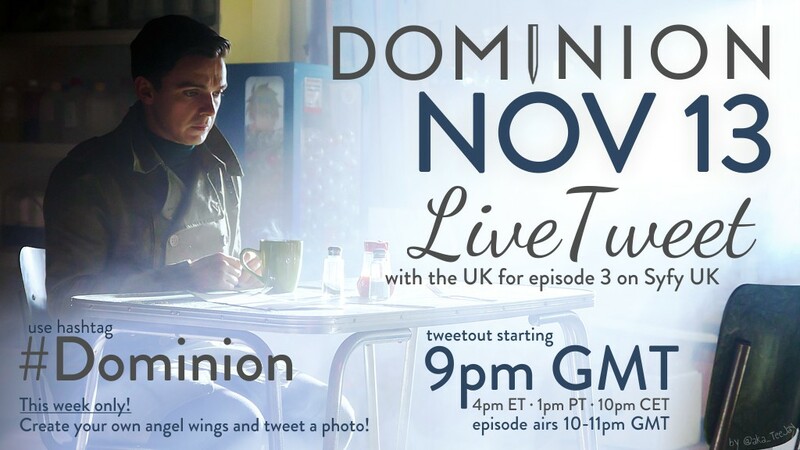 The Dominion fans would like to wish him all the best and a wonderful day! A young and rising British star, Roxanne McKee landed the role of Doreah in the blockbuster HBO series Games of Thrones. 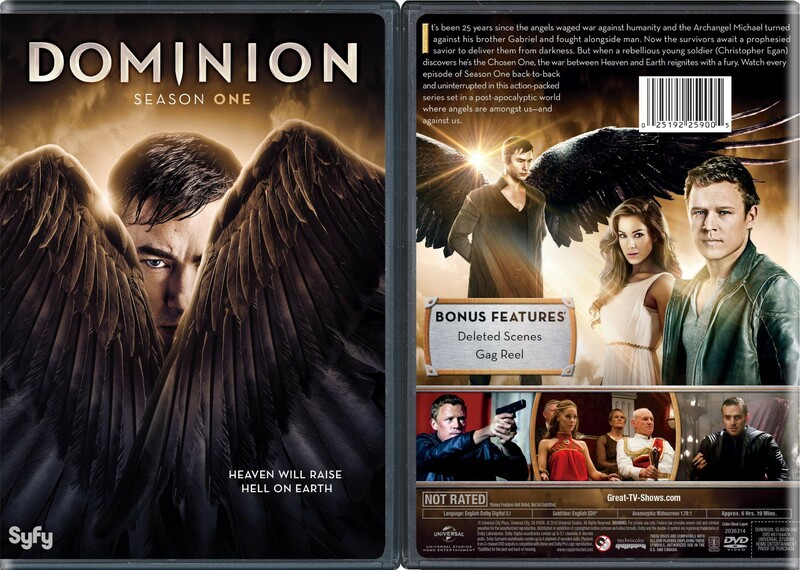 She now sits upon her own throne as Princess Claire Riesen on the Syfy series hit about angels, Dominion. Roxanne sheds some light on her role as she makes way for the second season of survival against a host of heavenly foes. Next tweetout with the UK coming up on Thursday! Chris Egan has said he’s in, other cast members may join too. 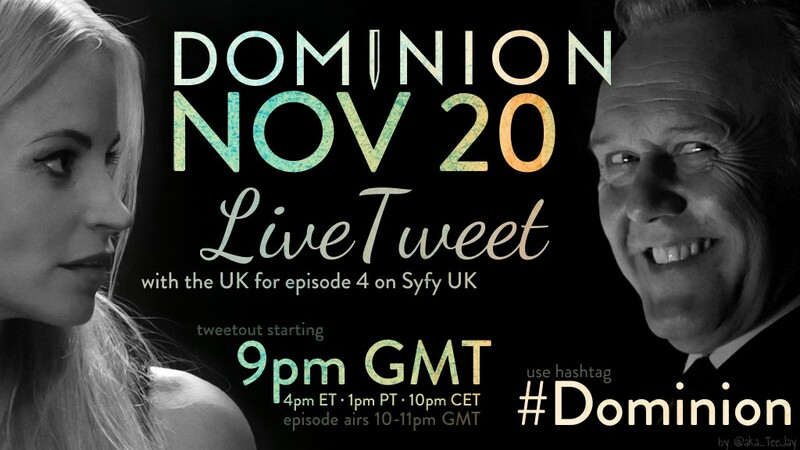 The tweetout starts at 9pm GMT (1pm PT, 4pm ET, 10pm CET), the episode airs on Syfy UK between 10 and 11pm GMT. Also make sure to wish Luke Allen-Gale (the actor portraying William Whele) many happy returns on Thursday, as November 6 is his birthday! You can find him on Twitter as @LukeAllenGale.